By Nancy Young in Artwork. Updated on February 28, 2016 . Baking cookies is so much fun! 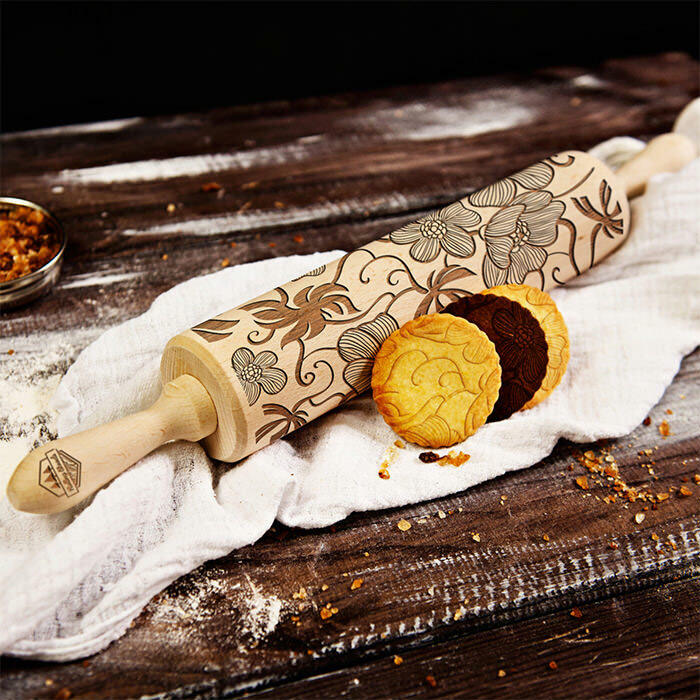 You don’t need a special occasion to make cookies for dinner but if you want the occasion to be extra special maybe some of these out-of-the-ordinary baking stamps may be of some help. 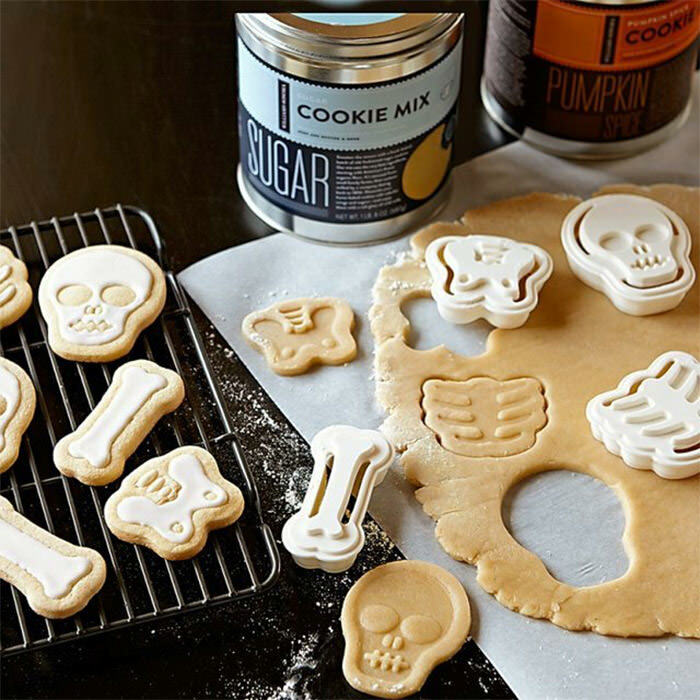 Why stick to the regular shapes when you can have cookies baked in the form of old cassettes, dinosaur fossils, Star Wars characters, batman’s logo, game controllers or even clouds. After cutting cookies with stamps and baking them, you can add some personality and paint them with food colorings, top them off with sprinkles, spread frosting on top and more. Note: Follow the link to the manufacturer or store to find out pricing details and availability. 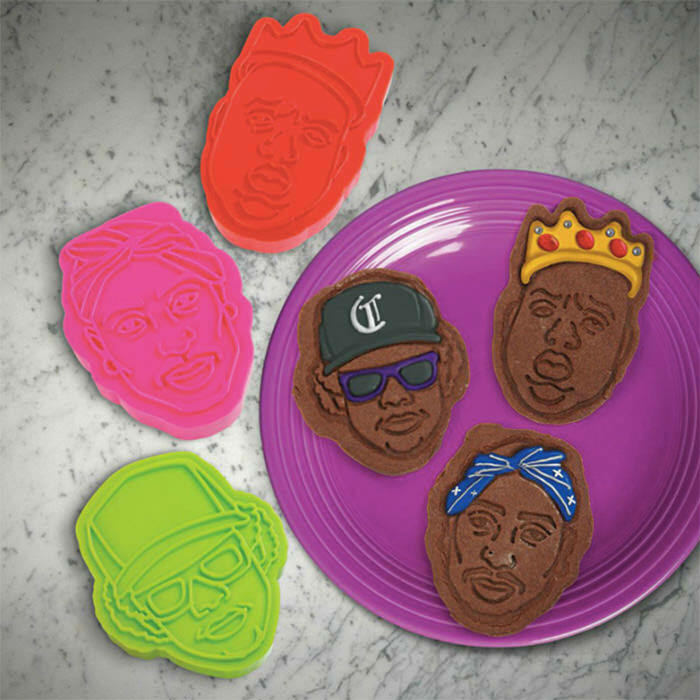 These gangsta-inspired cookie stamps will make your baking even more fun. 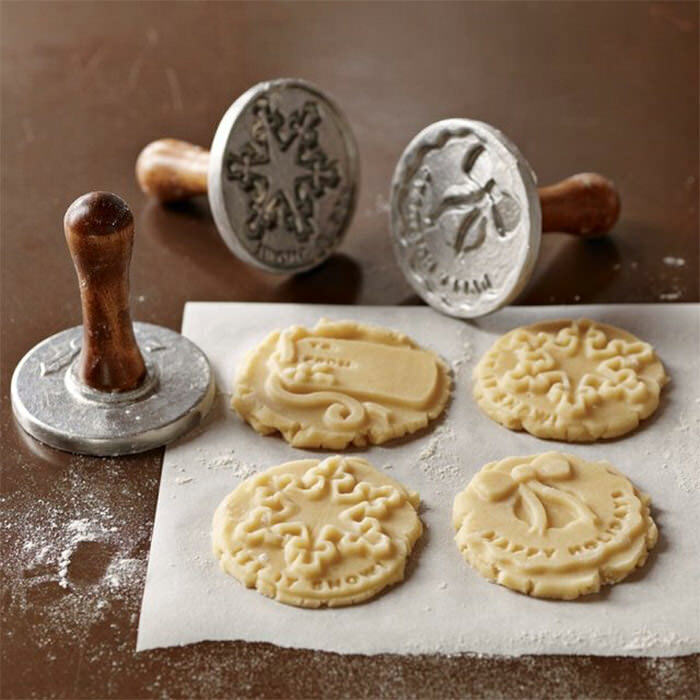 These baking stamps will surely bring in festive holiday cheer to your ordinary cookies whatever the season. 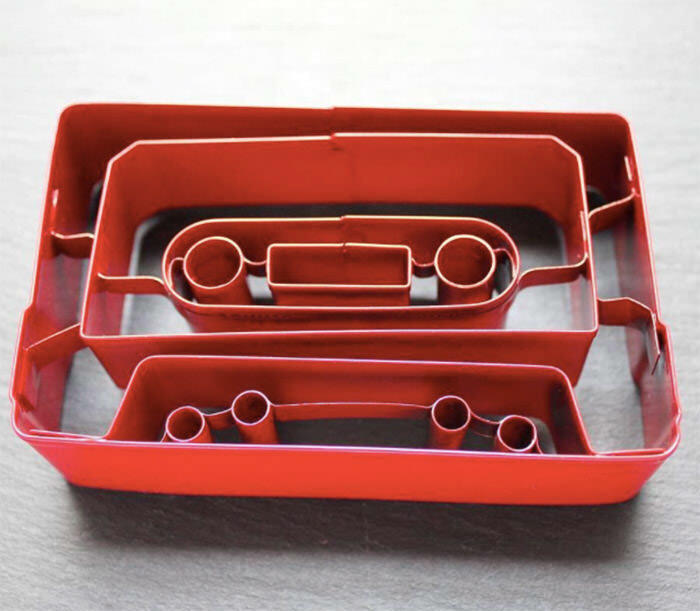 If don’t know what these are, people can guess what your age is. For the rest of us this nostalgic item had been what music was all about. 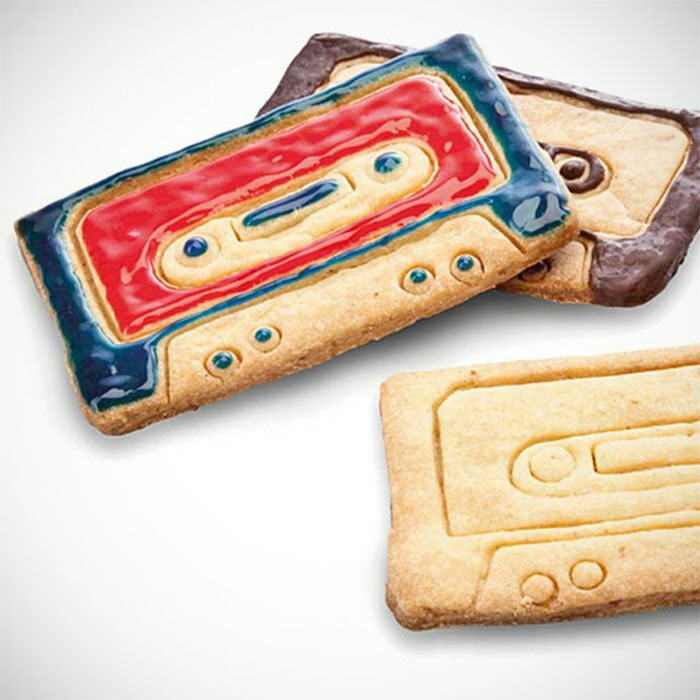 Relive the ol’ days of the past with these cassette shaped cookie cutters. 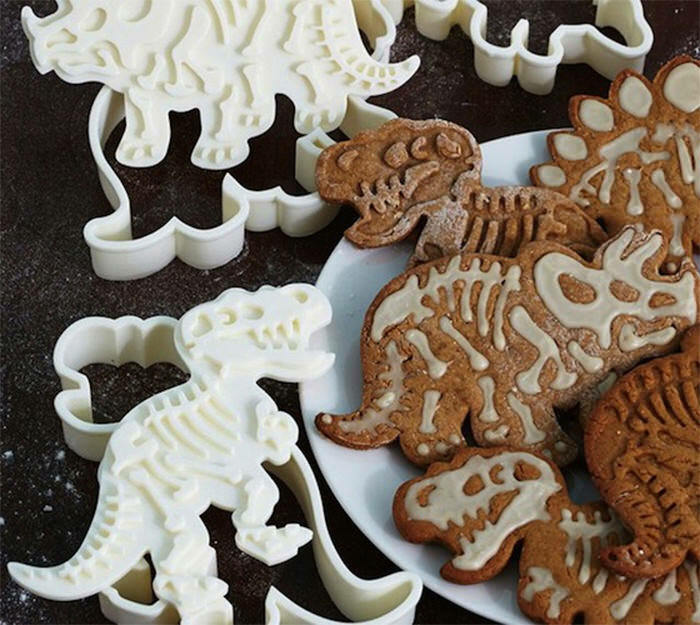 There’s a kid in all of us who is screaming with delight at these dinosaur fossil cookies. Munch on a Triceratop, a Stegasaurus or the big T-Rex for tea. 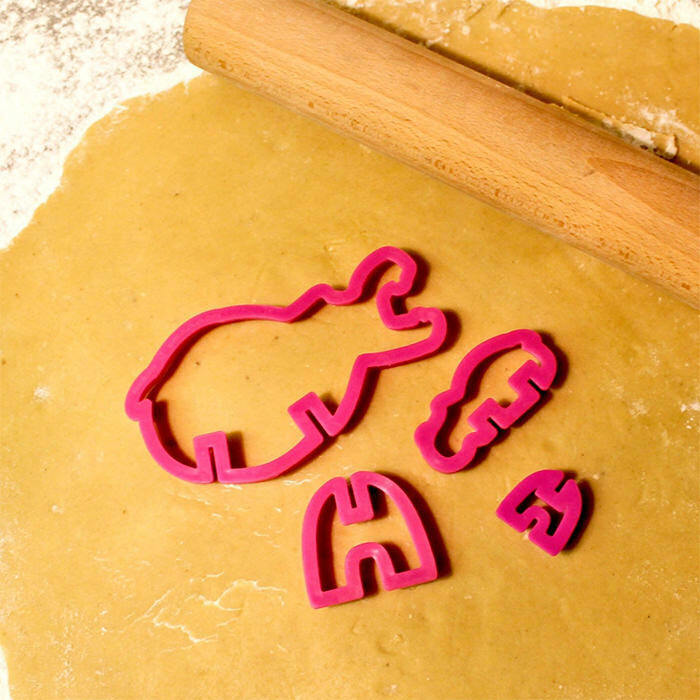 Create your own custom message using these baking stamps. 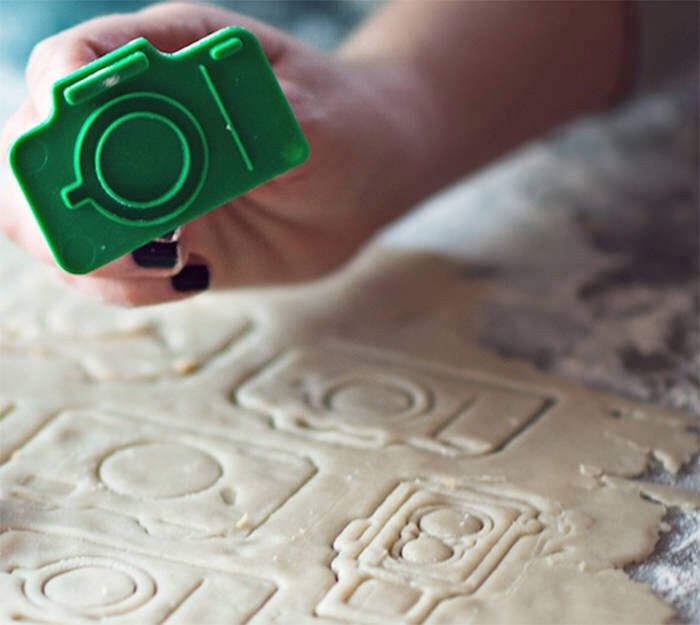 These cookies stamps are a great way to treat your family, friends and co-workers with a true taste of photography. 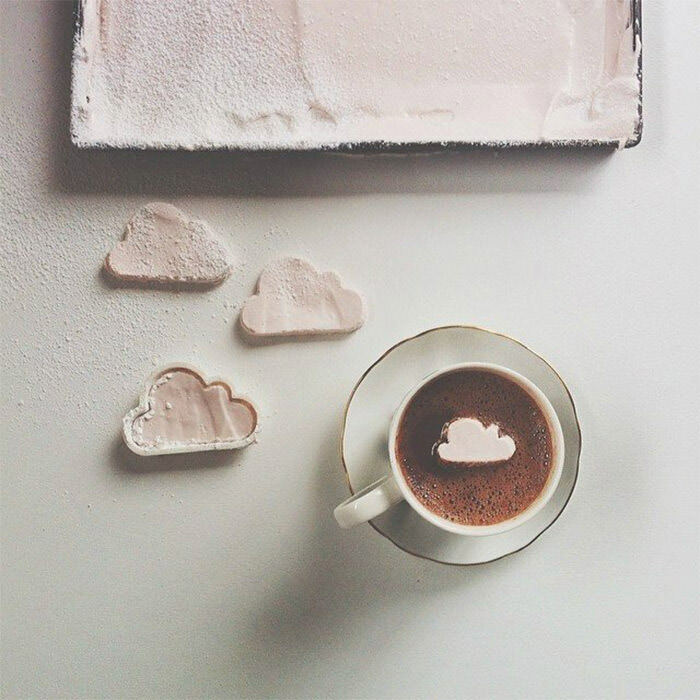 You don’t have to be a fan of Carly Simon to enjoy clouds in your coffee. 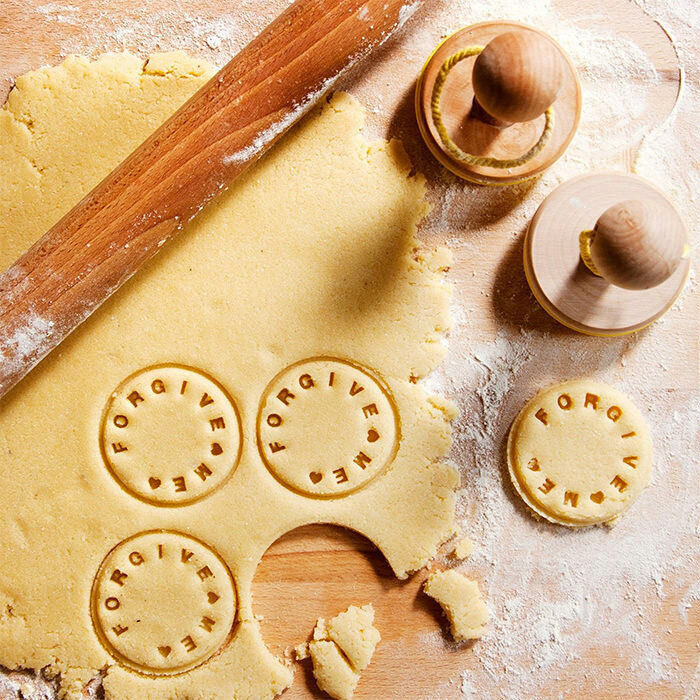 These baking stamps will help get you to seventh heaven. 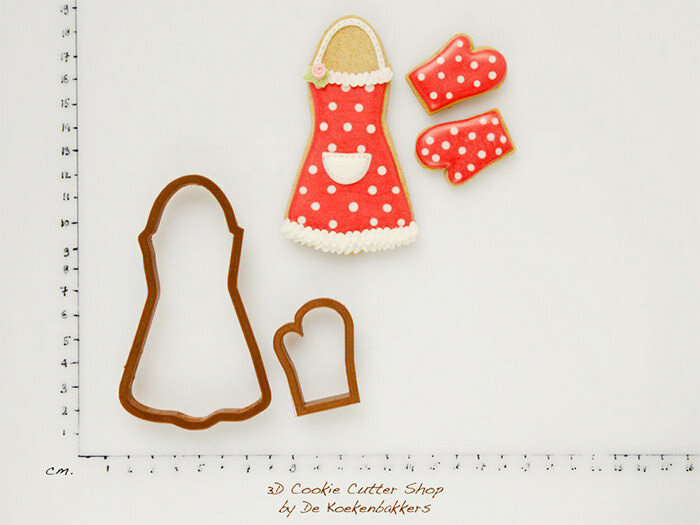 This set includes a bread cutter and three stamps which can be used for both bread and cookies. 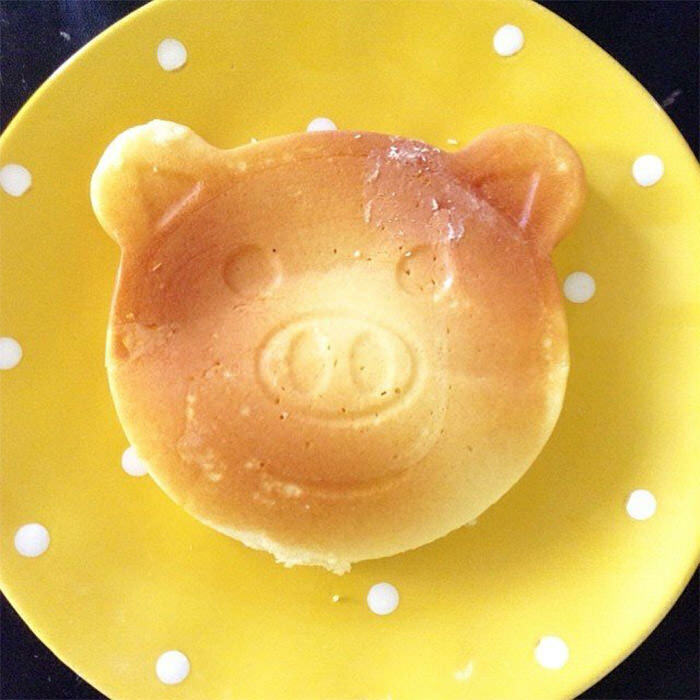 With this pancake pan you can turn your ordinary pancakes into a cute pig face. Your kids like playing with puzzles? Do they like to play with their food as well? 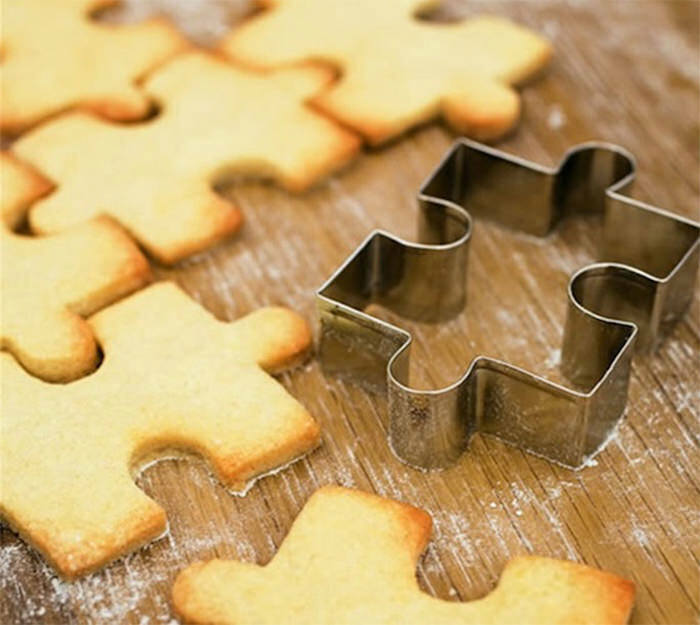 Then, try to make your cookies into puzzle shapes, with these creative stamps! 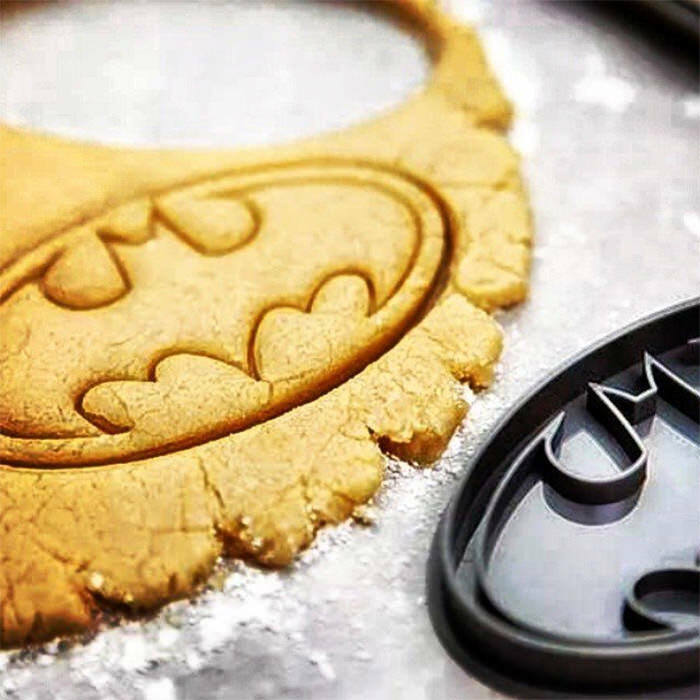 The cookie stamp bearing the shape of the original Batman logo, is going to make your homemade cookies look more “deserving” than ever. 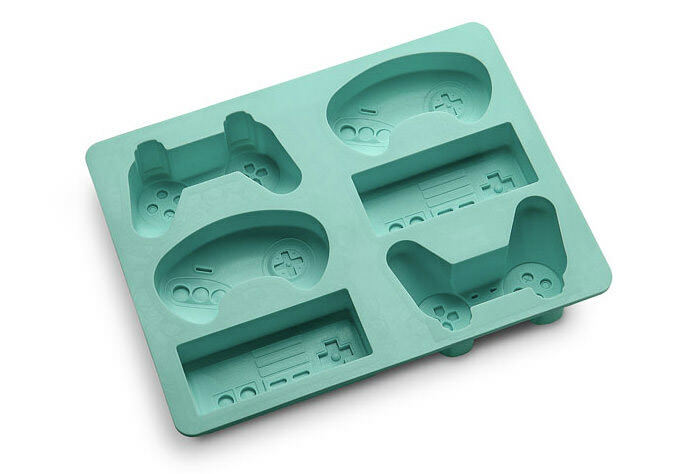 These silicone shapes in the form of classic game controllers can be used for baking, preparing ice or even making chocolate. 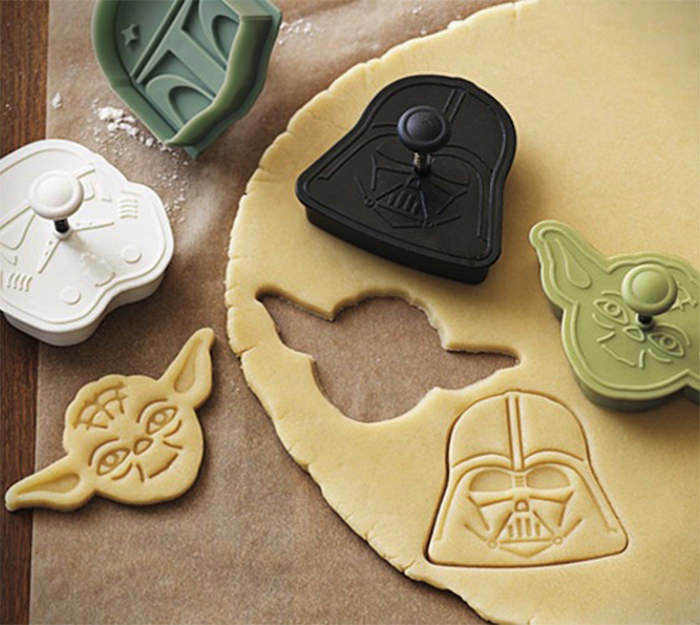 Perfect for Star Wars fans, these cookie cutters let you have Yoda, Darth Vader, Boba Fett and Stormtroopers over for cookies and tea. 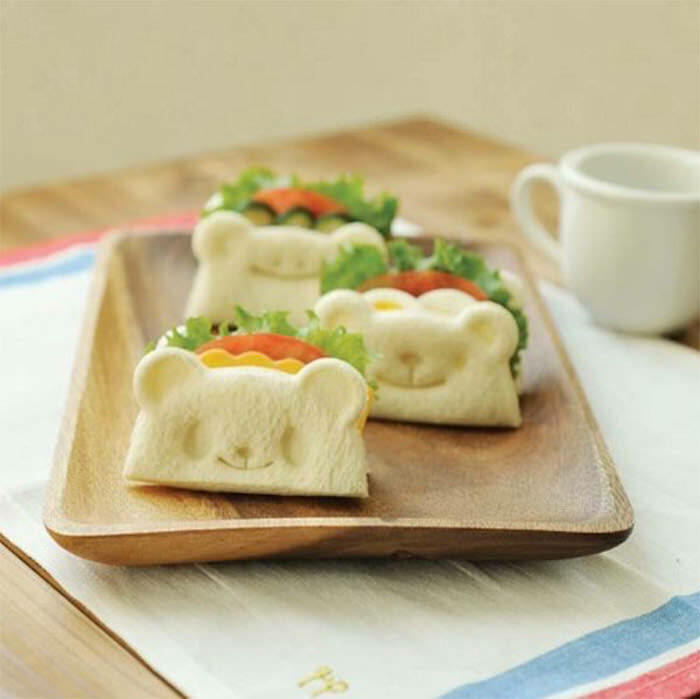 Love make French toast? 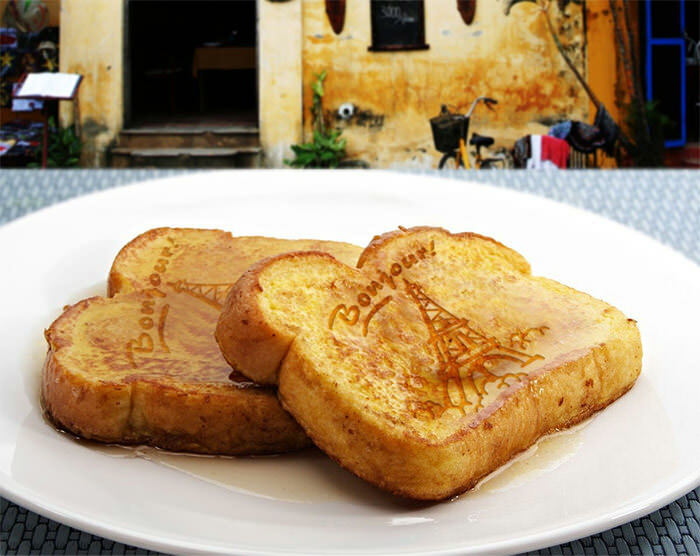 Get this “Bonjour” french baking stamp and put the Eiffel tower on your morning toast. This is as close to a romantic breakfast as most of us can get. 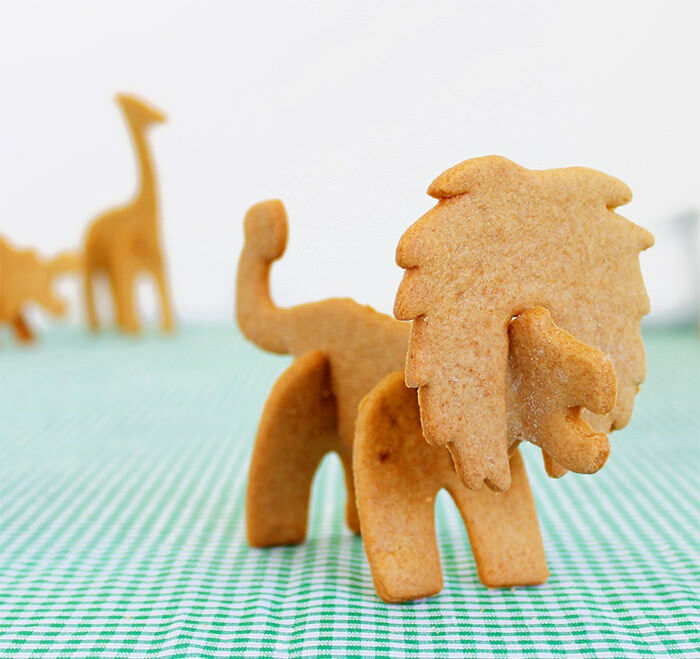 Make 3D cookies by pieceing together safari animal parts. 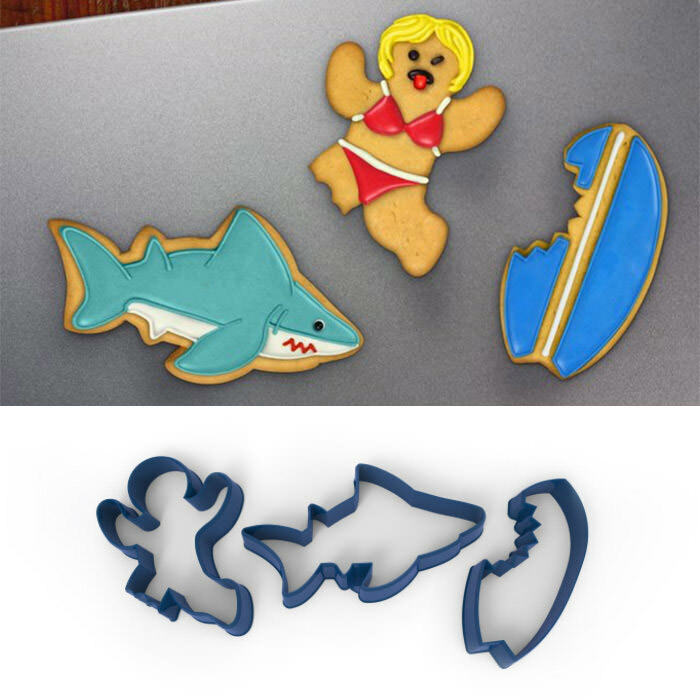 All you need to do is bake the parts of animals separately and then put them together when the cookies are done. 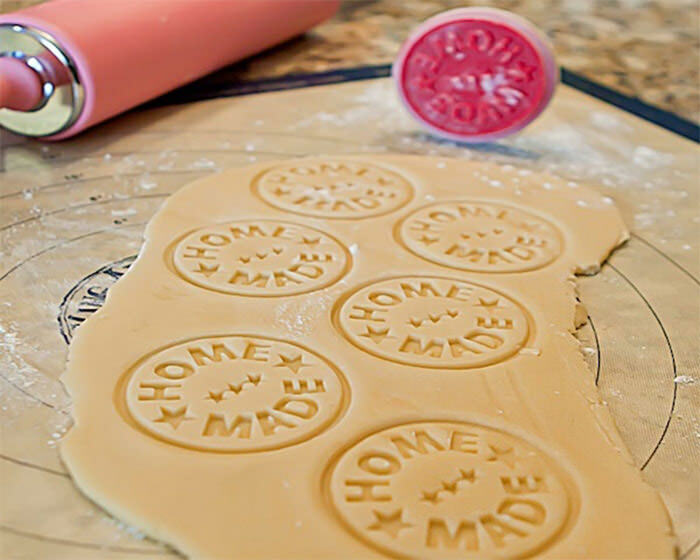 With these stamps you can point out that your cookies are homemade. Have tea with the Queen! Sort of. Ok, maybe not. 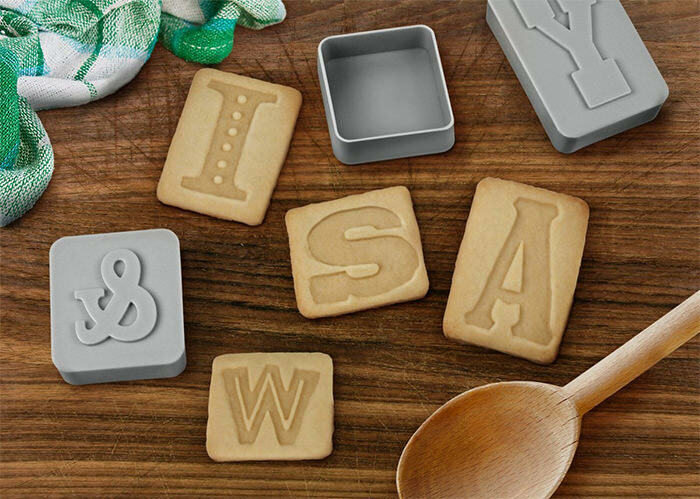 Create your own cookie stamp with your customized lettering. Have you seen the series Walking Dead? 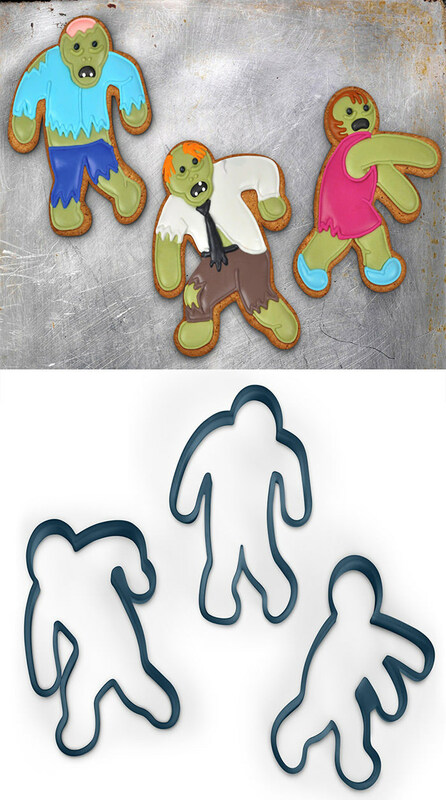 These cookie stamps will help you to cut perfect zombie cookies. You may color them to make them even more fun. 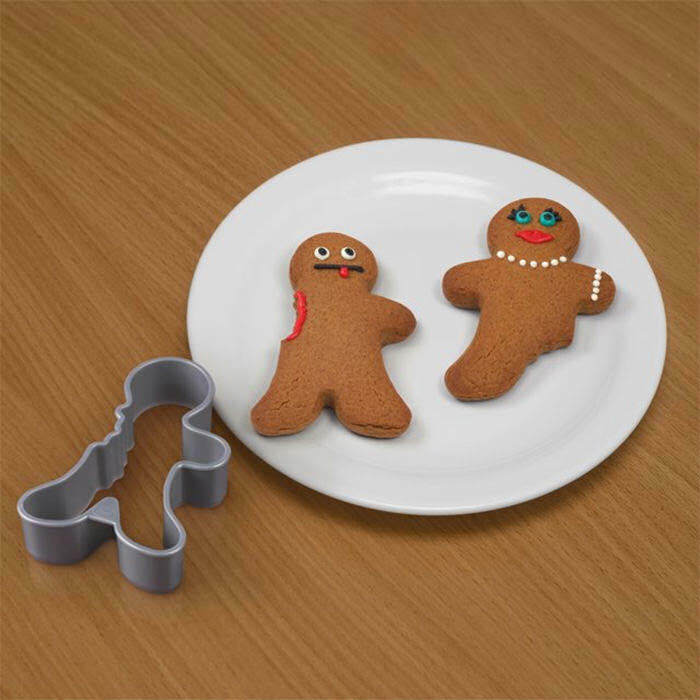 A quick reminder that gingerbread men (and women) are created to be chewed. 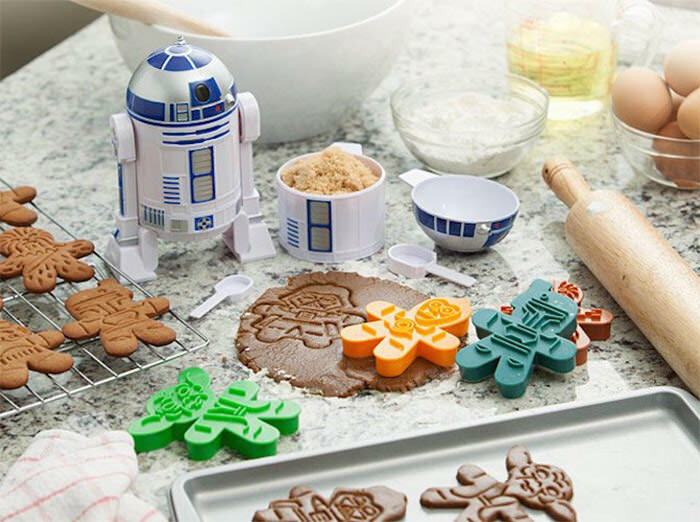 This set of 6 cookie cutters includes Star War heroes such as Darth Vader, Boba Fett, Chewbacca, Yoda, C-3PO, and a Stormtrooper. 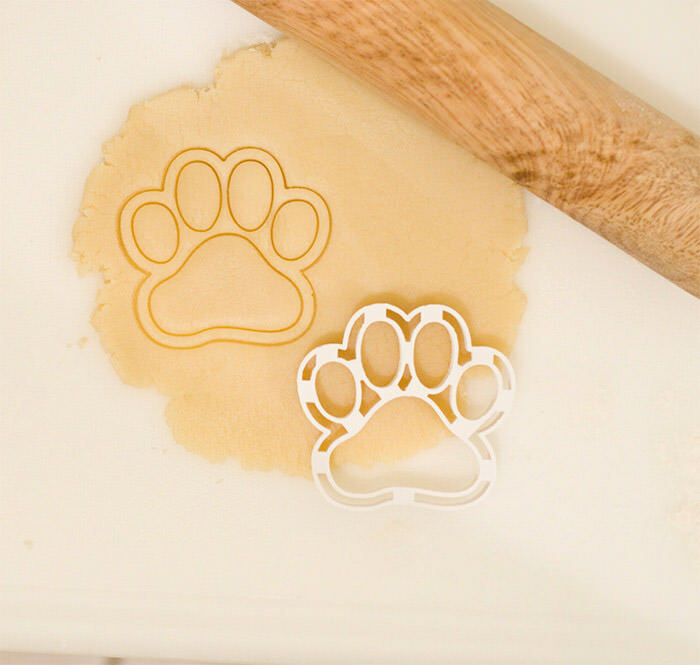 Create some cute dog paw prints using these cookie stamps. 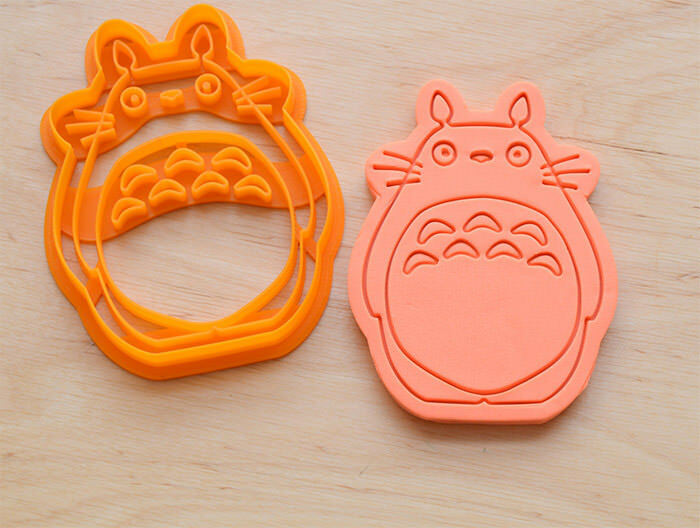 The baking stamps can be used to make Totoro, Chu, and Chibi cookies. 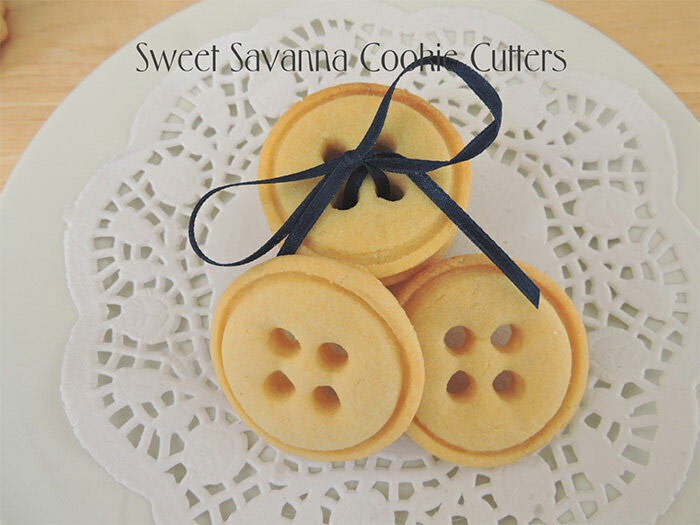 Cute as a button, that’s what these cookies are. 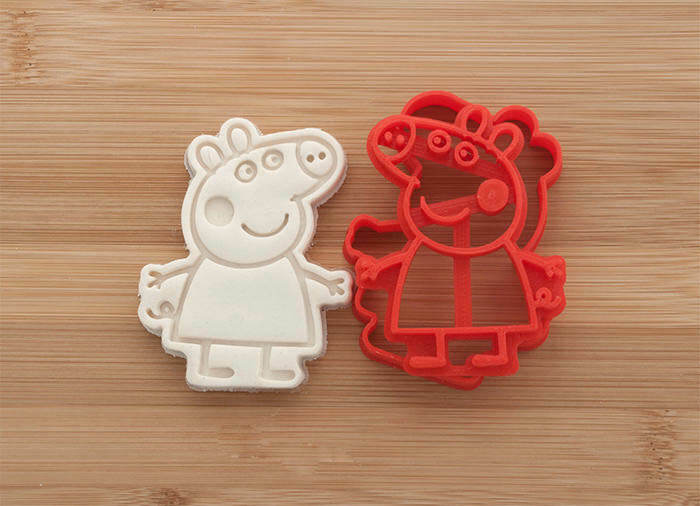 Create Peppa Pig cookies for your little fans using these cookie stamps. 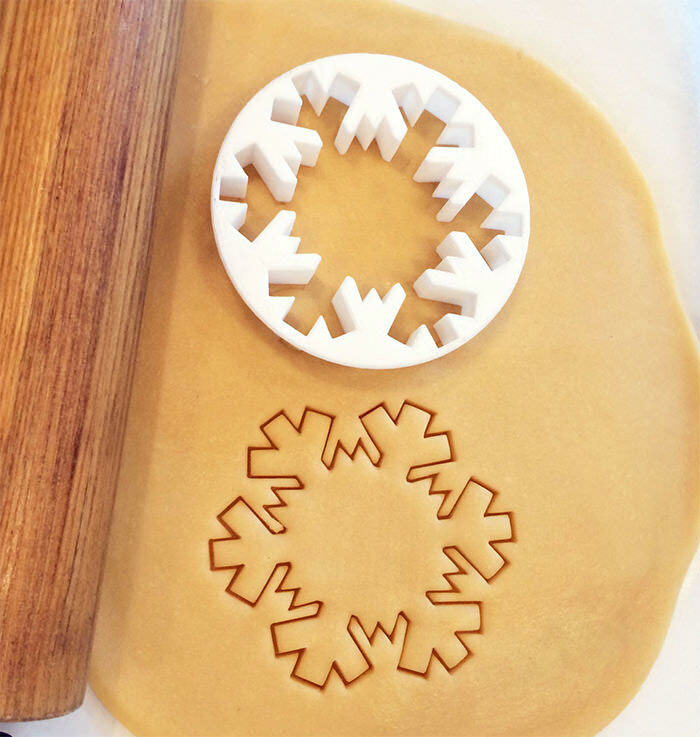 This rolled pin can be used to create a breathtaking pattern on your cookies. This one comes with a beautiful floral pattern. Christmas in July, why not? 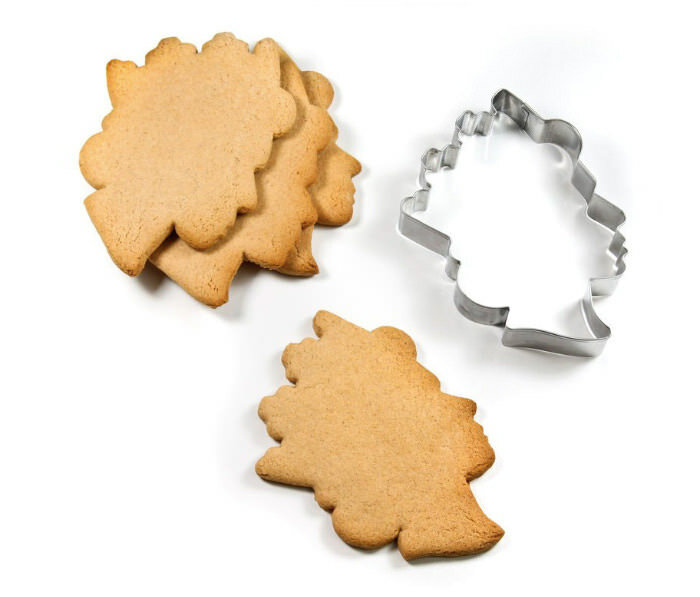 Have some snowflake-shaped cookies while you celebrate. Boy, does this cupcake look surprised. These are dedicated for all photographers and vintage lovers. 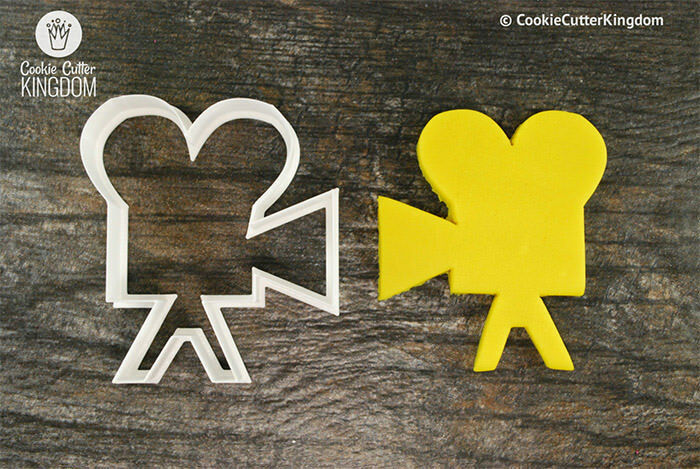 Lights, cookies, action! 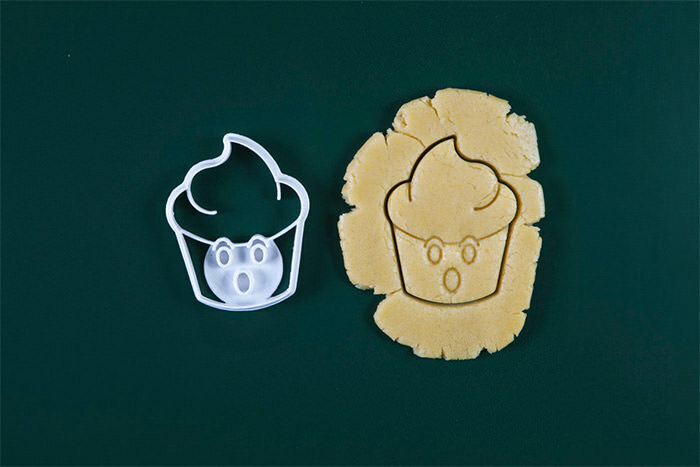 Create cookies that look like potholders and a cute litle apron using these plastic food-friendly stamps. 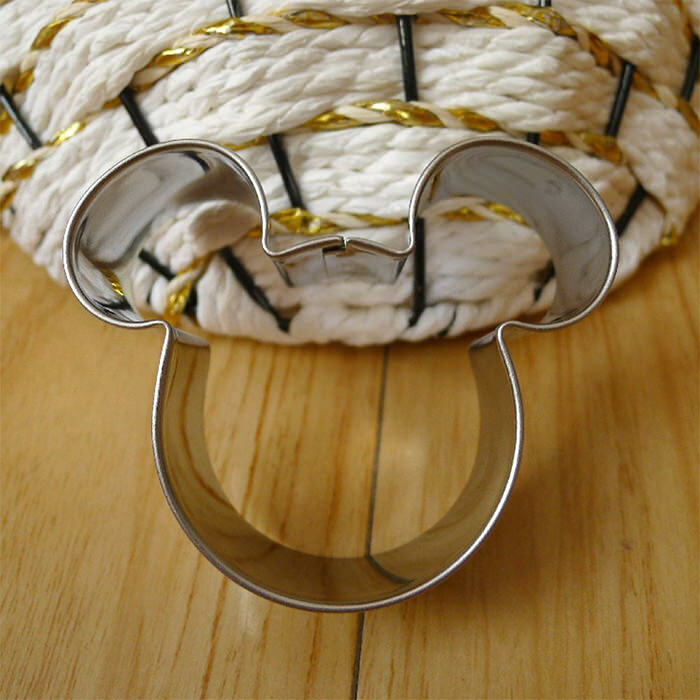 Hey Mickey! Want some Cookies? 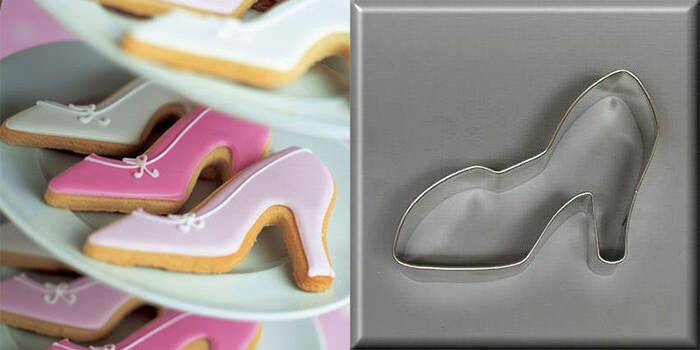 These baking stamps can be useful for wedding and anniversary celebrations. With their help you can tell a story about boy and girl. 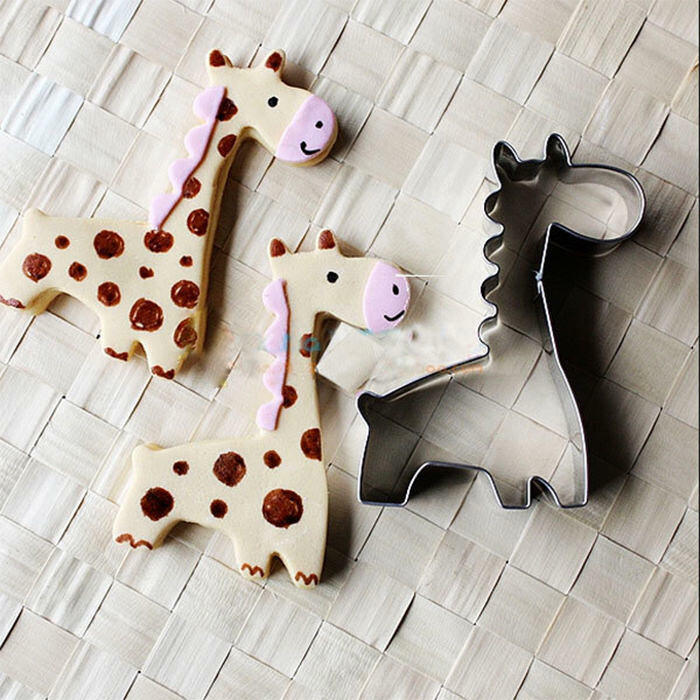 These oh-so-adorable giraffe cookies are made with stainless steel cookie cutters and a whole lot of additional decorations. 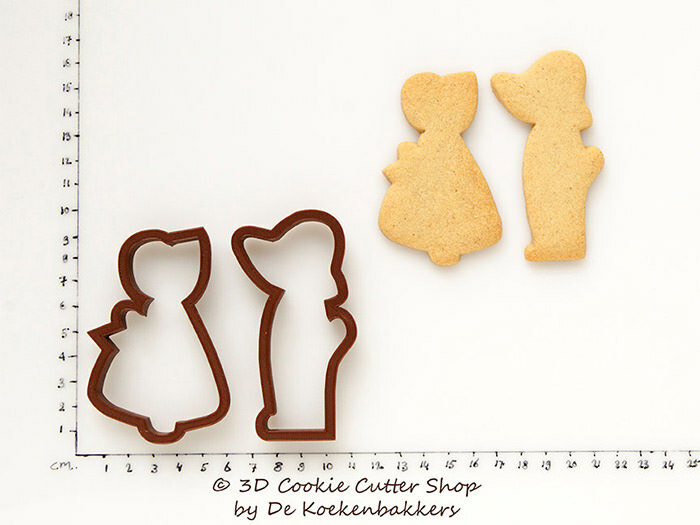 These romantic hills cookie cutters can be used to make cookies for a little girl’s birthday. Colored with pink or red they look even better. 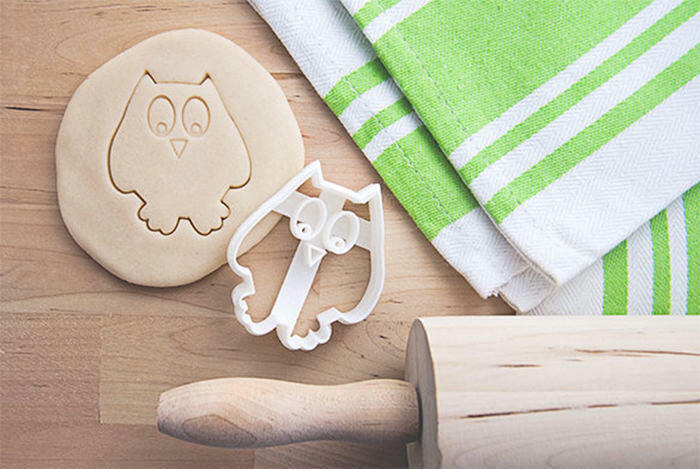 This cookie stamp in a form of owl is made with food-safe plastic. 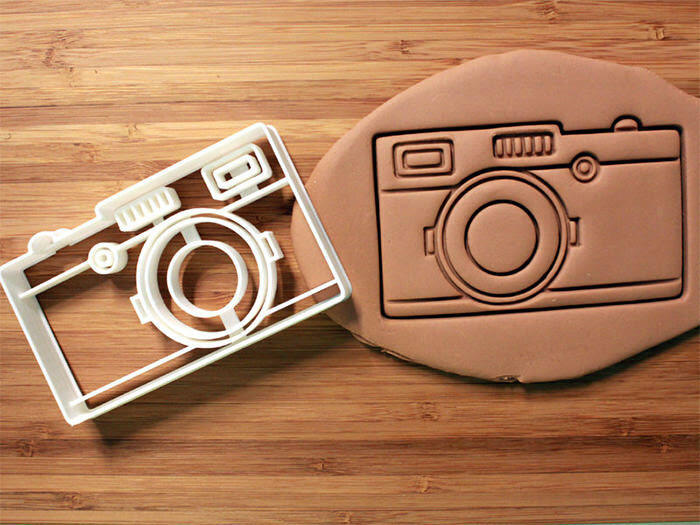 This camera-inspired cookie stamp is great for photographers or for serving at various photography events. 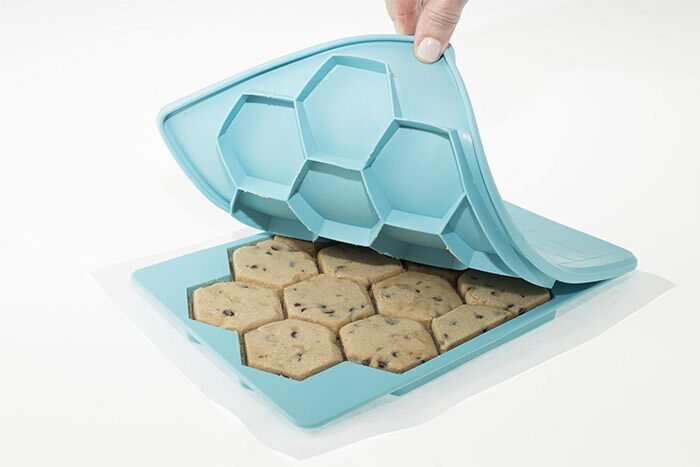 This cookie cutter and freezer container is the best way to cut and store your dough. Not exactly for baking but still it helps with the process. 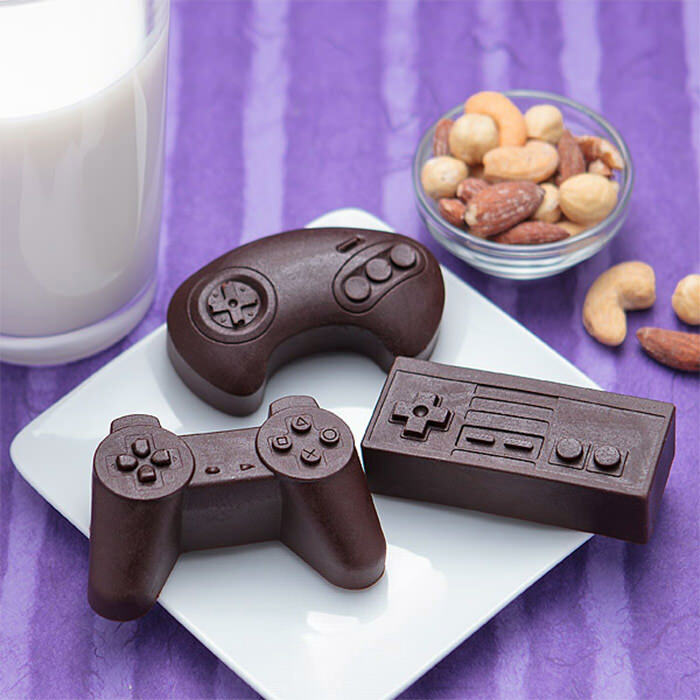 You’ll need a sense of humor to enjoy this particular snack attack. The set contains a shark, a surf board and a lady missing a leg. 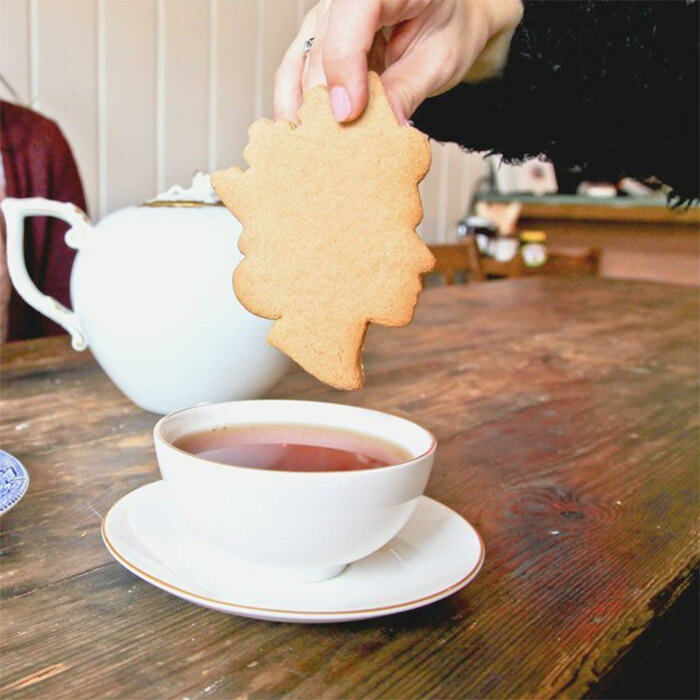 JAWS – the teatime version. 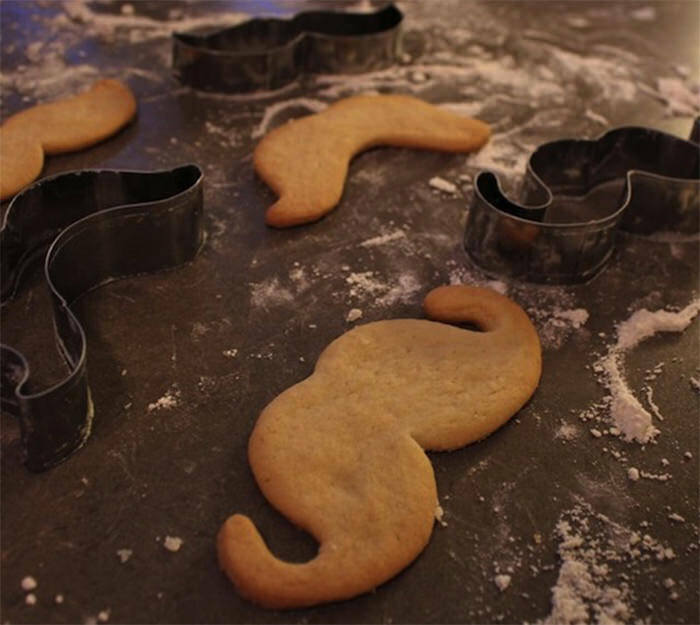 Hipster mustache cookie cutter can be used to make cookies and play with them. 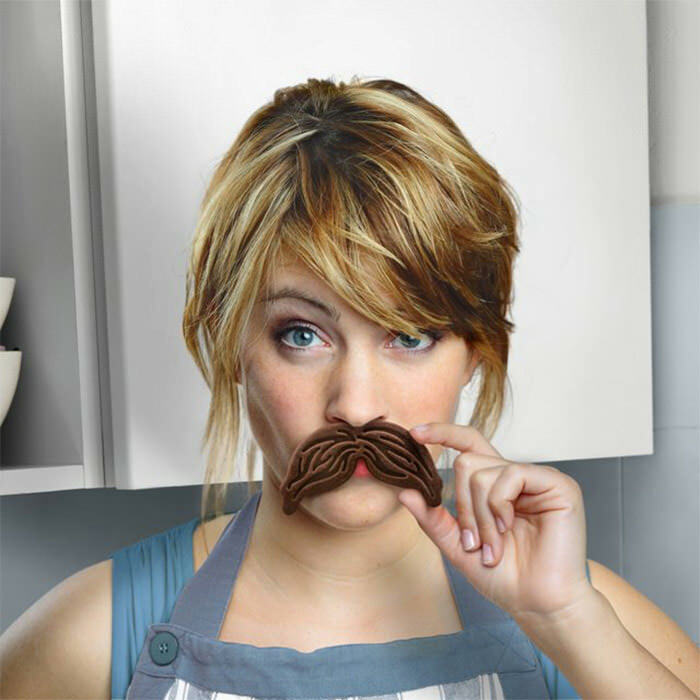 Err… your mustache is showing. 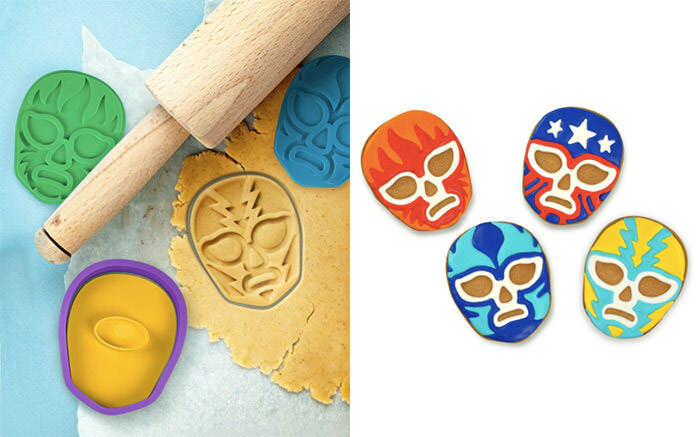 These baking stamps will help you to make Muncha Libre cookies and bring out the Mexican wrestler in you. 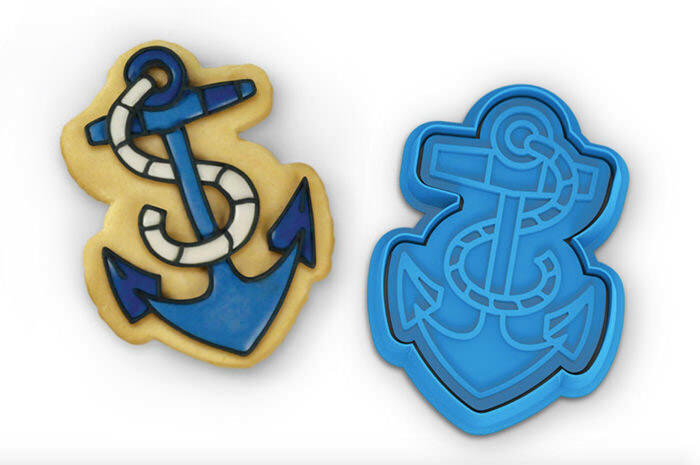 Bake cookies with some classic anchor designs using these cutters. 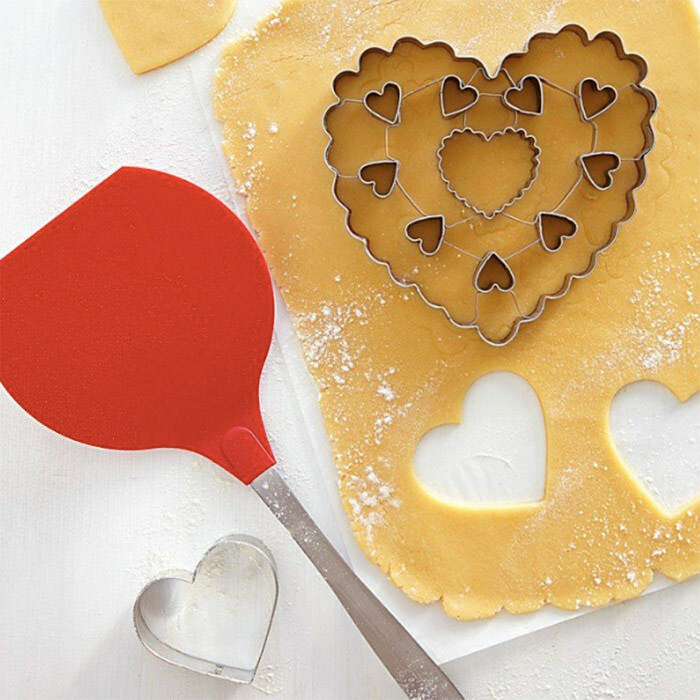 Use these baking stamps to make two cookie-parts of a heart. They are perfect for Valentine’s day. 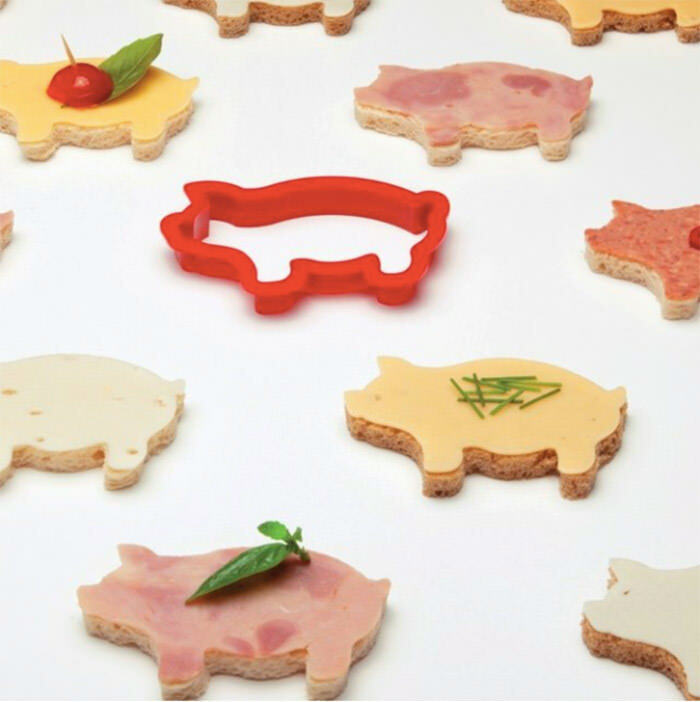 These cutters can be used for both to cut dough or sandwiches to create cute pigs. 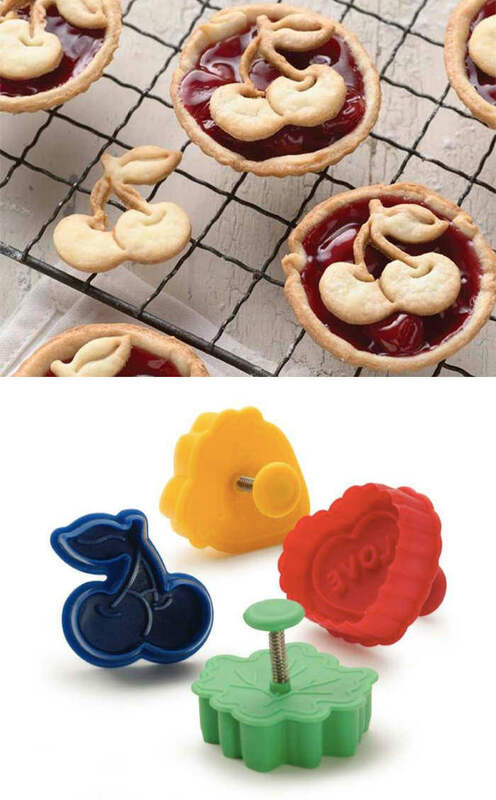 These cute cutters can be used for making cherry pie or cupcake toppers. 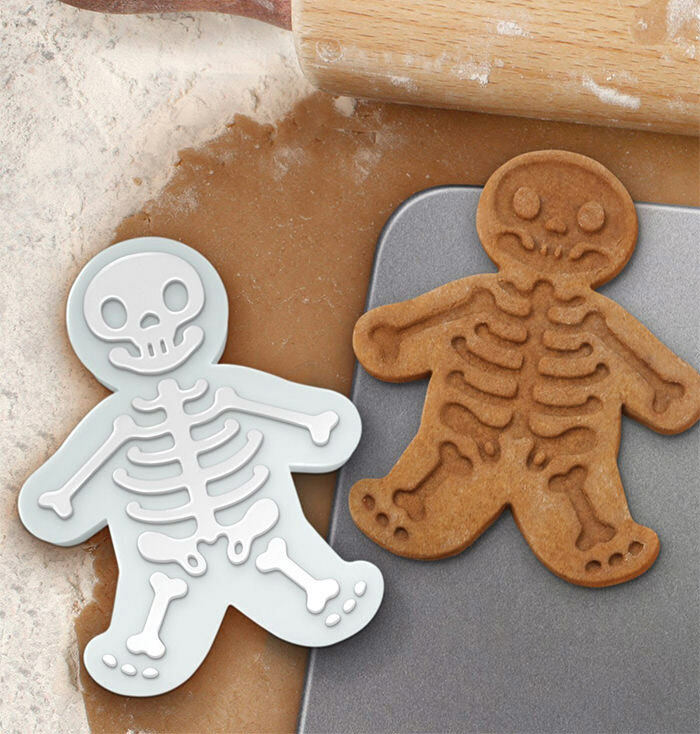 These cookie cutters can be used to create skeleton body parts: skull, ribcage, pelvis and an individual bone you can pass off for the limbs. Great for Halloween. 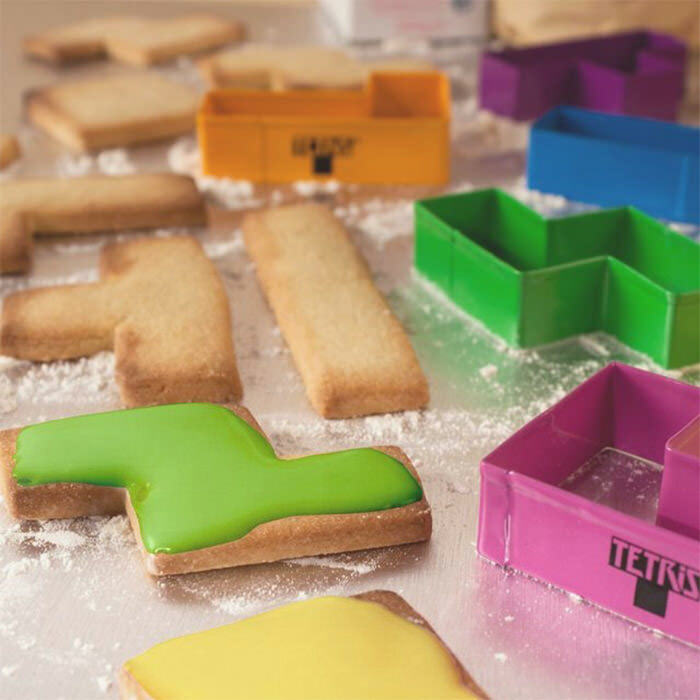 These baking stamps are made special for all fans of the retro game Tetris. Create some parts of this game using the cutters then add your own coloring. 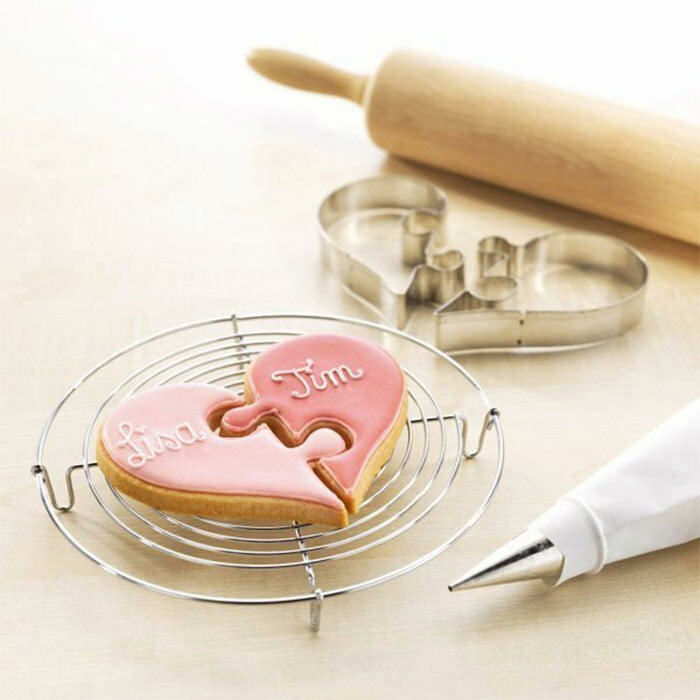 With help of this baking stamp you can create a giant heart cookie. 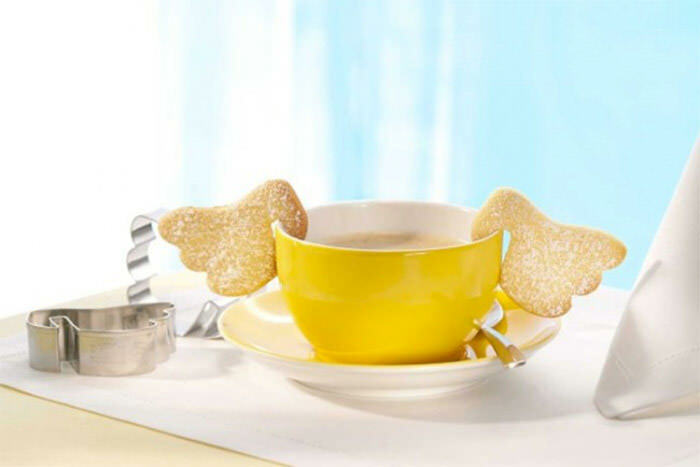 These cute angel wings cookies can be attached to a mug or a glass.